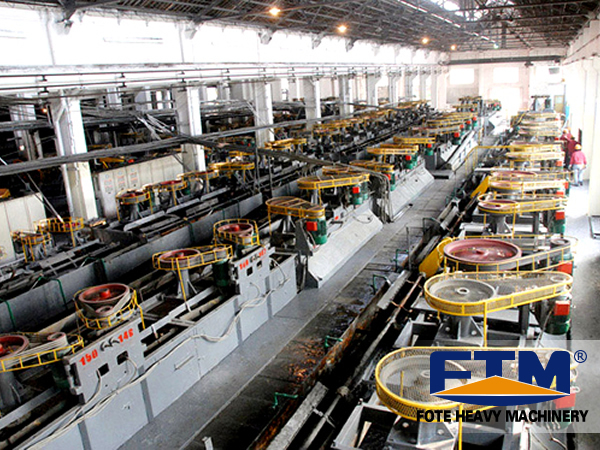 Is the Investment of Copper Flotation Production Line Large? Copper is mainly using the flotation beneficiation methods, copper flotation production line is to select copper from the other materials, some users will ask about how much investment in copper flotation production lines, in fact, if only just thrown this problem, and no assumptions, for this, it is uncertain. Next, we will answer this problem from two aspects. addition, also includes some similar feeding machine, concentrator and other equipment. The price of these devices though account for the majority of the investment is still for reference, the specific number of devices identify according to their production capacity, after all, big and small copper flotation equipment required for the production line because the number of different investment will be different. Users in the investment of copper flotation production line, generally also has planned the size of their production line plant, after the civil plant also needs a lot of money, so it is a major factor that will affect the user’s investment in this production line. So users in the construction of the plant, in order to reduce investment without affecting the scale, we can consider a price of land suitable living area, which also helps to reduce investment. Of course, when other conditions are the same, the larger the plant, the investment will be relatively increased, however, the scale of production and production will also increase the return. Finally, to remind the user, the general investment and income is directly proportional to, so do not be afraid to invest more, always behind higher economic efficiency. PREV :Factors Affecting the Quality of Rod Ball Mill Processing Slime?